A&P Fencing can supply you with a variety of timber fence rails, including arris rails, cant rails and motorway fence rails. All of our rails are tanalised to ensure a long lasting life. It’s the care and attention that we put into every stage of the manufacturing process that earns us such a high reputation for supplying the highest quality products at an affordable price. 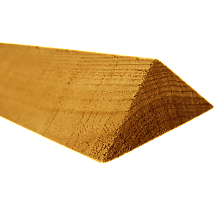 We have a range of timber fence rails, all listed below. They are available for fast delivery from our West Midlands depots to popular locations including Birmingham, Sutton Coldfield, Great Barr, Tamworth, Lichfield and more. 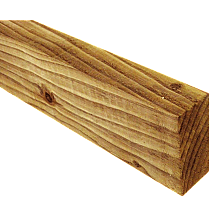 Timber fence rails are often used to construct ‘post and rail’ fencing, which is very popular in agriculture and farming. Popular due to their minimal style, the ability to border off different areas of land and keep animals in, fence rails are a simple but effective option when looking to create a subtle boundary. 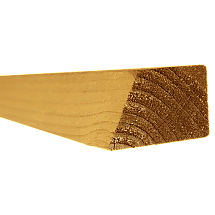 Our timber fence rails are constructed using high-quality timber and are made to last for many years and stand up to the harshest of weather conditions. Here at A&P Fencing we pride ourselves on the quality of our products and providing you with the best timber fencing that we can. We manufacture our timber products ourselves to ensure that we maintain high standards and the best quality levels in our products. To find out more about our timber fence rails or any of our other products, please contact us.